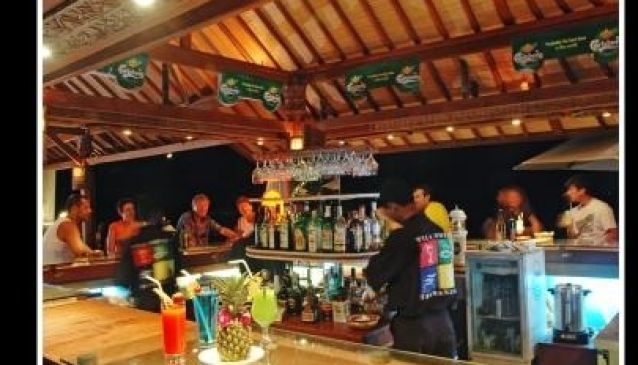 If you are looking for a quiet night out in Lombok,and picture yourself slowly sipping your favourite drink while taking in the fresh air, head to Blue Beach Bar. Blue Beach Bar has a wide selection of drinks; local and imported beers, fruity and delicious cocktails and a variety of great spirits. You are bound to find your poison. A hip band plays four times a week, so whether you just want to nod your head to a grooving tune, or give your partner a twirl, they have you covered. The bar is full of friendly faces and exciting characters, while the bar staff are committed to making your stay the most pleasant it can be. So if you want to spend a chilled out evening, possibly with some live music and your favourite beverage pressed against your palm, visit Blue Beach Bar.